Gregory Emvy is an international artist and public figure. He works and lives between Moscow, Mexico and London. 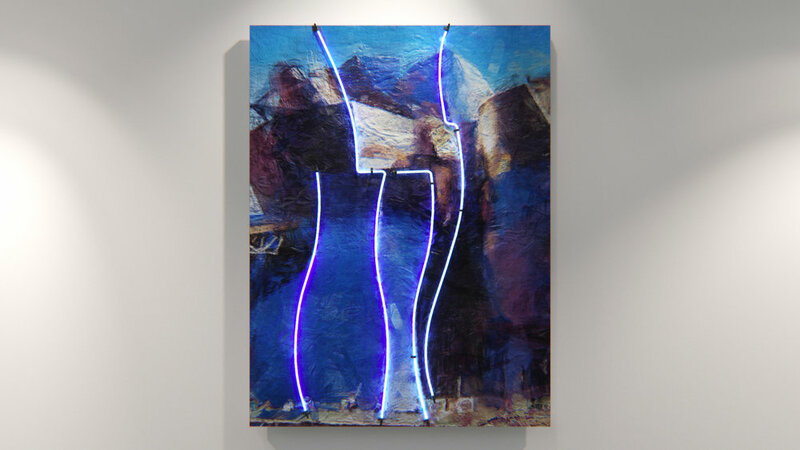 Gregory gained his success and recognition and had his first solo exhibition in 2014 in London during Frieze. 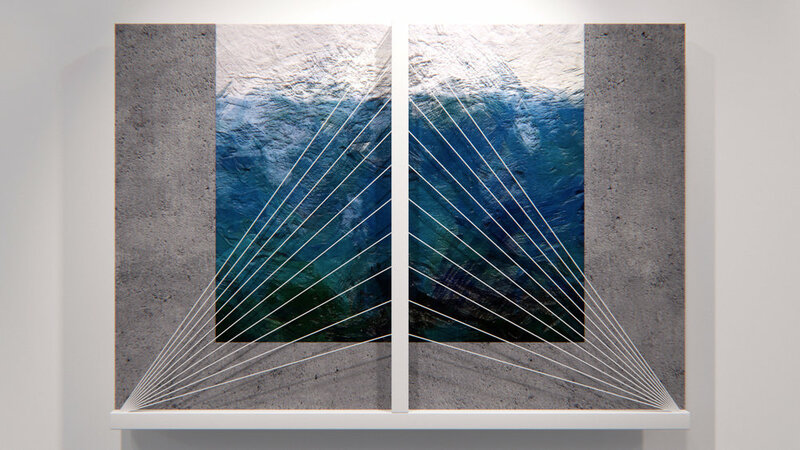 His current exhibition is held in Dubai, Paris and Monaco. He won Amsterdam Art Fair, and was exhibited in Louvre Aft Fair and during Miami Art Basel 2016. Also being a fashion influencier, Gregory was featured in numerous prestigious publications including GQ, Vogue, Esquire, AD Magazine, Interview Magazine etc. Since recently Gregory started working on the furniture's design based on his artworks. Participated in Amsterdam International Art Fair 2015, he got first prize. Participated in Art Fair (Art Shopping) in Louvre 2015 – October. Biennale of contemporary art. Architecture is the language of giants, the greatest system of visual elements that was ever created by the humankind. Just like artists, architects are not inclined to talk much, because they are aiming to create tangible objects. Each creative professional has their own tools for communicating their thoughts and feelings. For me, the most complicated yet essential element of architecture and art is simplicity. Simple forms require perfect proportions and measurements that result in visual harmony. To achieve that in my works I experiment with texture and colors. It’s not an easy task trying to translate words into construction elements. But being an admirer of architecture myself, I’m setting out on a mission to reimagine creations by leading architects of the world in paintings. It’s a complicated yet fascinating challenge. Please join me on my quest powered by imagination and by the artistic tools that will bring it into reality. The painting by the “patriarch of Italian design” is a reflection of his inclina-tion towards simple geome- try, bright colours and playful style. His architec-ture is intimate and is meant for people, not institutions. At its core is the tradi-tionally Medi- terranean approach to life - seizing every moment and enjoying simplicity. This work describes Isozaki’s own character. One of the leaders of the 1960s’ avant-garde movement, he learnt from Kenzo Tange and managed to introduce romanticism and humour into large-scale urban construction. This painting was inspired by the Palauet de Palafolls sports centre he built. In my eyes this is one of the most amazing archi- tects, a deep thinker who values method over form. He delineates active processes, tensions, energy flows and tries to create a perfect space for them. Architects like to say they create spaces, not forms, but Tschumi would likely add “I create conditions for a space to emerge”. Works by Fuksas are some of the most elegant examples of the new virtual reality in architecture. This painting was inspired by the Peres Center for Peace in Jaffa. Vieira’s creations are wonders that blow your mind with simplicity. They are quiet in their dignity and harmony, and translate blissful calamity. The secret to this magic is Vieira’s meticulous attention to proportion, the oldest yet ex-tremely complicated element of architecture. His method is that of the masters of Renaissance, that has been stripped of all the excessive decor to satisfy the tastes of the contemporaneity. He is both a modernist and a classic. With their streamline forms and metal trimming, Gehry’s creations often re-semble fish. When post-modernists started insisting that build- ings should reflect the his-tory of the surrounding environment, Gerhy suggested that fish existed long before humankind, making this his method for bringing motion to his works. 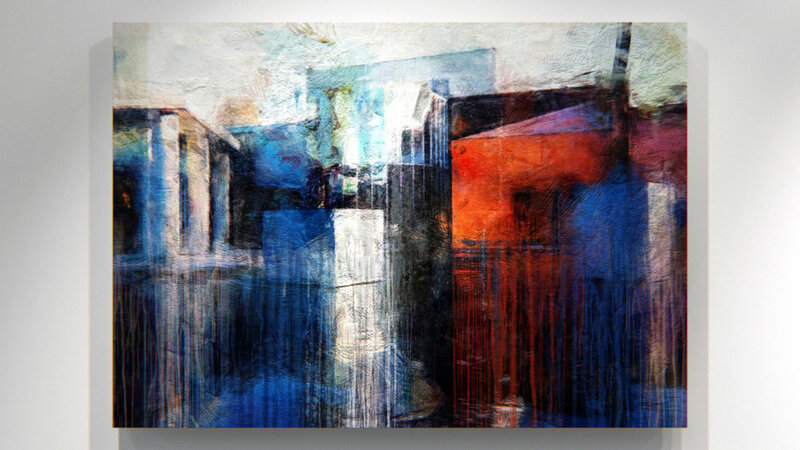 This painting is a nod to Guggenheim Museum in Bilbao. Thom Mayne is, undoubtedly, the product of the “crazy 1960s”, an architect who went above and beyond the existing modernist and post-modernist trends. The philosophy of his architecture has little to do with European modernism, Oriental motives or the American tradition. He is the adept of the nomadic culture South California. His works feature broken geometry and his language is his sharp angles. He is an architect of globalization, a pos-sessor of curious mind that brings to life new forms.This painting depicts the landscape of Giant Interactive Group Corporate Headquarters in Shanghai. They say, “the words of wise men are heard in quiet more than the cry of him that ruleth among fools”. This seems to be the approach of Peter Zumthor whose works are smart and simple yet speak volumes. Zumthor creates timeless spaces. He explains: “There are buildings that are magical. It just feels that they belong with that place. We don’t pay much at-tention to them but we can’t imagine them not exist. These are the kind of buildings I aspire to design”. This painting depicts a part of Kolumba Museum in Cologne. Combining European lustre with the refined simplic- ity of the Japanese is the trademark approach of this architect. Ando planted the seeds of Japanese architecture in European modernism. He acted as a European professional, but strived for intricacy and perfectionism like no European was able to. His creations are informed by history but refrain from overloading the viewers with it. Philosophers, writers use words to make others think. The power of a word is immense. Architecture is a word uttered by the space. 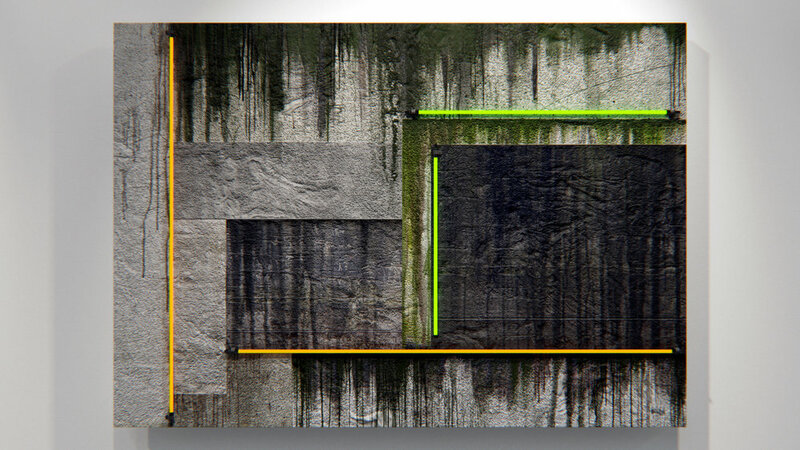 A concrete wall can speak to the viewer without need for interpretation. Ando has a lot of weight in his words. Norman Foster is one greedy architect. But he is not greedy for money. De-spite the media singling out his most large-scale creations, Foster has much more to offer. He might have built a school building - but that won’t get into the headlines. He always guarantees success and quality, a living classic who has every right to be enjoying his fame. Yet, he doesn’t work for the pub-lic, he doesn’t have feelings for the public - he has feelings for stones, con-crete and steel. You can forgive a man in love for being famous. 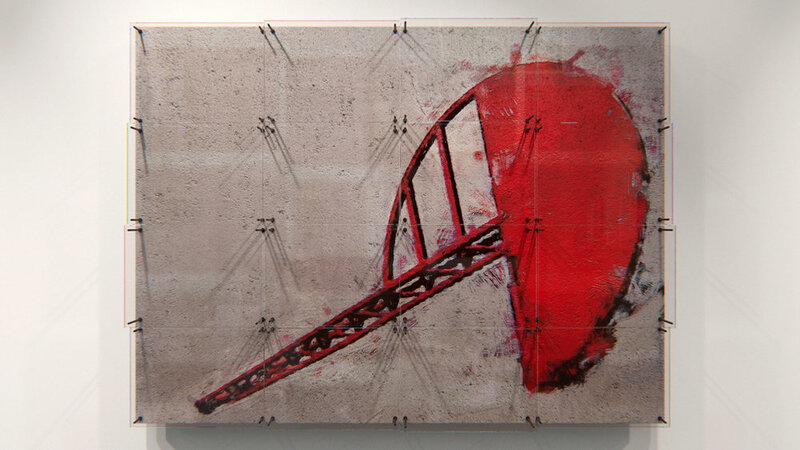 My painting is dedicated to one of the most outstanding projects by Foster, Millau Viaduct in France. At 343 metres tall, it still holds the record for the tallest cable-stayed bridge. Libeskind is one of the founders of deconstruction, exposing the fragility of the world in his creations. The concrete walls and abundance of empty space is a frequent metaphor he implements to convey the idea of past and future loss. I have mixed feelings about this architect who uses concrete and metal to describe emotions that are sometimes quite raw. This painting shows part of the facade of The Frederic C. Hamilton Building at Denver Art Museum. Grimshaw’s architecture is the opposite of an iron fist in a velvet glove. It’s dry and rough on the surface but soft and warm on the inside. A tropical harden is hiding under the cold glass domes of his Eden Project. And, at the heart of the Rolls-Royce Headquarters there is a lake. Grimshaw puts emphasis on “human factor” and the principle of treating oth-ers they way one wants to be treated. When an architect meticulously de-signs every single detail of the building, the viewer feels its wholesomeness that is unbeatable. “For a long time we’d possessed the knowledge that the Europeans were seeking. We knew about the connection with nature, simplicity, combination of timely and timeless, and the beauty of bare constructions. When time came for us to create our contemporary architecture, we won over the West-erners easily.” These words by Kurokawa reflect best his approach and phi-losophy. Chipperfield has his own powerful and consistent style. That style is all about quadrate constructions. Logic and rational explanation lie at the core of each of his projects. With his attention to object types and their functions, Chipperfield is probably the synonym of simple and transparent style in ar-chitecture. My work is dedicated to his Museum of Modern Literature in Mar-bach. He values power and high technology. He is confi- dent that technology is a key part of any project, not just a tool. Architecture comprises science, art and technology, it’s one of the most powerful expres- sions of human mind and emotion. Architecture is also a construction and Rocha, who pays great at-tention to the expressive abilities of construc- tions, knows it better than any-one. He is also fasci- nated by the connection between his buildings and the environment. This work is dedicated to the architect’s own house.